The Weekend BANG! is back and we bring back a VGB classic character Steven G back from the longest hiatus ever. This is the best time to be back cause E3 is here and EA is first up to bat. Will they knock it out the park leaving all the other companies in the dust? Or will it be a snore fest. 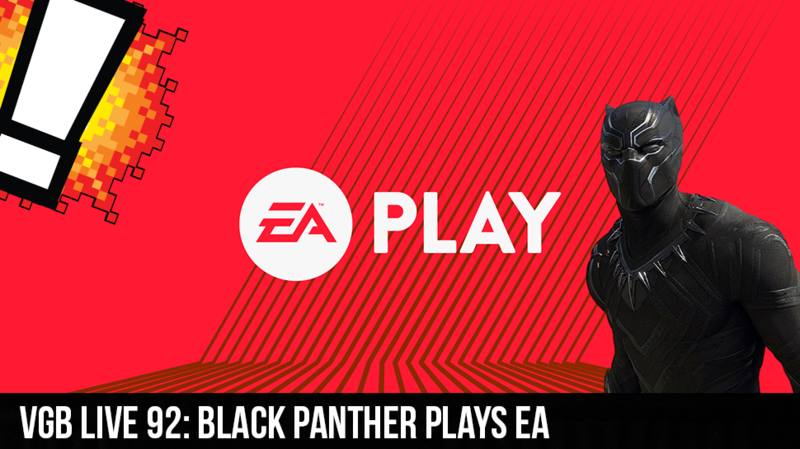 Also the Black Panther teaser was released and we break it down to the most minor details that you may have missed. Will The Black Panther beat all other Marvel movies in the box office? Will E3 bring gaming back to the glory days? Will Cory ever come back to the show? Find out all this and more on this weeks Weekend BANG!